TEMPE, Ariz. — Supply chain management has become an increasingly popular subject at universities around the world, as businesses try to learn how to keep costs down, minimize risk and streamline efficiency. Now, the supply chain management programs at the W. P. Carey School of Business at Arizona State University are being recognized with some prestigious new rankings, easily placing them again among the best in the nation. The new rankings from Gartner, Inc., one of the world’s leading information-technology research and advisory companies, look at how today’s university programs are meeting the needs of employers in the area of supply chain. They found the W. P. Carey School ties for second among all undergraduate supply chain programs in the U.S. The school ranks fifth among graduate supply chain programs. Less than two months after graduation this year, the school already has a 92-percent employment rate for its full-time MBA supply chain students. In the undergraduate program, a recent career fair originally open to only 30 companies had to be expanded because of recruiter demand. Among the firms involved were big names like Bank of America, Frito-Lay, General Mills, Rolls-Royce, Starbucks Coffee Company, Target and US Airways. The Gartner rankings involve a survey of 400 industry leaders, who each revealed which programs they recruit from and which program they believe is best. Gartner also took into consideration whether undergraduates need to complete an internship, average starting salaries, number of full-time supply chain professors, number of supply chain student majors, and the scope of the programs. U.S. News & World Report already ranks W. P. Carey School of Business supply chain management programs among the best in the nation, too. The school’s undergraduate program is ranked No. 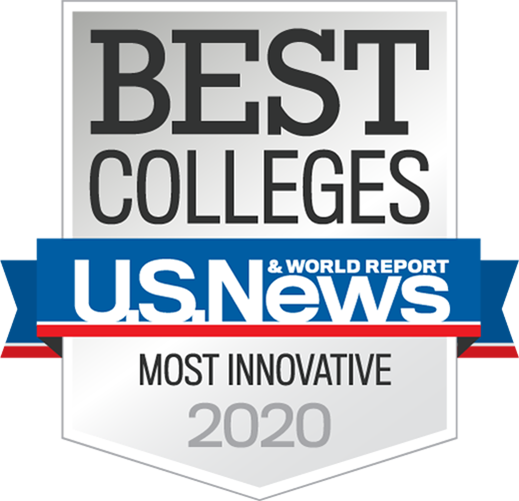 4, and the graduate program is ranked No. 6 in the country by the publication. Another jewel in the supply chain crown at the W. P. Carey School of Business is CAPS Research, which celebrates its 25th anniversary this year. The research center was formed as a joint venture between the Institute for Supply Management™ and ASU to conduct cutting-edge research in the field. More than 300 large, multinational firms have been corporate sponsors over the years, and research has addressed such emerging subjects as environmental sustainability, the impact of social networking media on supply chains, and benchmarking Chinese companies. More information about CAPS Research can be found at www.capsresearch.org. More information about the school’s supply chain management programs is available at www.wpcarey.asu.edu/supply-chain-management. The W. P. Carey School of Business at Arizona State University is one of the top-ranked and largest business schools in the United States. The school is internationally regarded for its research productivity and its distinguished faculty members, including a Nobel Prize winner. Students come from 99 countries and include 60 National Merit Scholars. For more information, please visit www.wpcarey.asu.edu and http://knowledge.wpcarey.asu.edu.